Check out these screen shots from BBC's forthcoming wildlife documentary series, Great Barrier Reef. 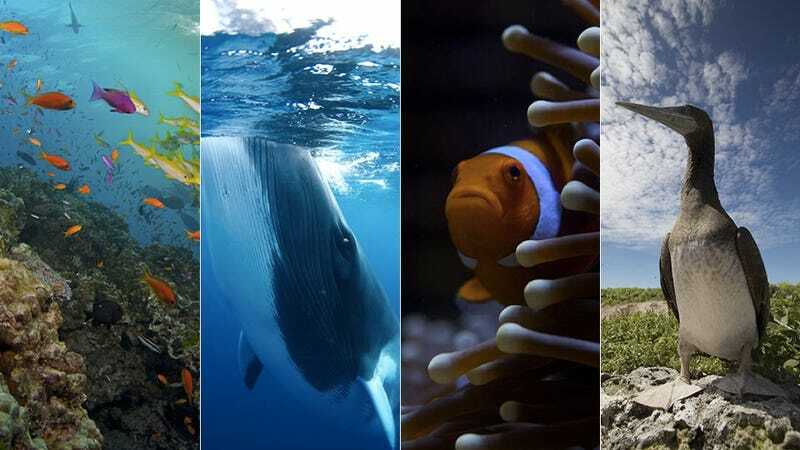 The three-part series, which kicks off new years day, was produced from over 600 hours of footage shot along Australia's massive, 1600-mile-long reef system — the largest one on Earth. These images are selected from a teaser gallery assembled by The Guardian that is really worth a look. Those of you in the UK can visit BBC's Great Barrier Reef site to watch clips from upcoming episodes.